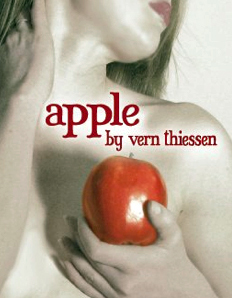 Phoenix Theatre Artists and Company One will join to present the New England premiere of Vern Thiessen's "APPLE" at the Boston Playwrights’ Theatre from March 12 - April 3. One of Canada's most produced playwrights. Thiessen's has written for stage, radio and television and is the recipient of numerous awards, including the Elizabeth Sterling Haynes Award for Outstanding New Play, The City of Edmonton Arts Achievement Award, the University of Alberta Alumni Award for Excellence, The Canadian Jewish Playwriting Competition, and the Governor General's Literary Award, Canada's highest honor for playwriting. In "APPLE," Andy is in trouble. Downsized from his job and with his marriage in crisis, he looks to a mysterious young women for salvation. But when his wife becomes seriously ill, Andy must make a choice: care for an estranged wife, or run away with a woman he knows little about. Greg Maraio, the play’s director as well as Artistic Director of Phoenix Theatre Artists, commented, “After our successes with the comedies 'Christmas Belles' and 'The Superheroine Monologues,' we wanted to do something completely different. 'Apple' is a play unlike any I have ever read before, it’s such a deeply moving and truthful look at complex human relationships." "APPLE" features a cast of Phoenix mainstays including Dave Sanfacon and Barbara Douglass. Also returning to the stage is Phoenix Theatre Artists co-founder Eliza Lay. Boston Playwrights’ Theatre is located at 949 Commonwealth Avenue in Boston. For information and tickets, call 866-811-4111.